Landlocked Vermont is not an obvious destination for exceptional seafood. And though San Sai is located on Burlington's waterfront with a prime view of Lake Champlain, the local perch and crappie are not among the exquisite fish served there. 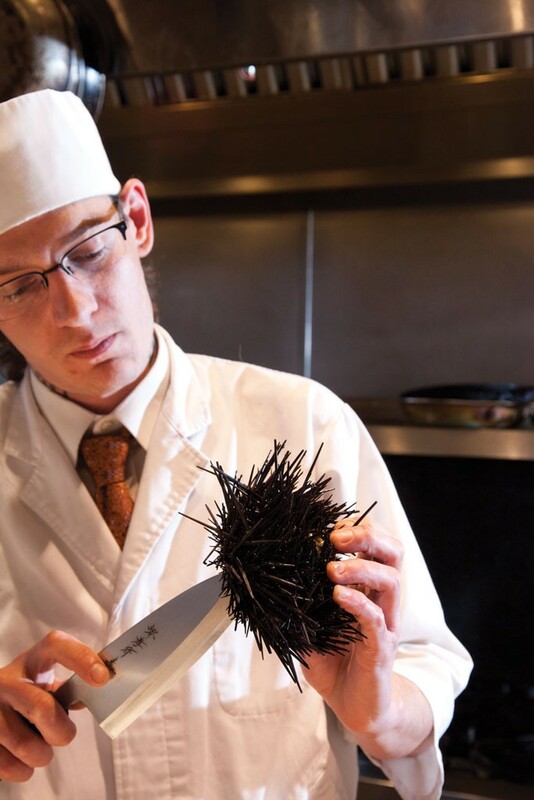 Chef-owners Kazutoshi Maeda and Chris Russo specialize in traditional sushi prepared for a modern palate. Their rice is never anything less than perfect: sticky but not gooey, soft but not mushy. San Sai's fish is so clean-tasting that even the seafood-averse might reconsider after a rectangle of tuna marinated in red wine, or fluke wrapped in a single shiso leaf with a blob of pickled plum. Sushi combos may also include raw fluke sizzling with the fragrant acid of a squeeze of yuzu; a whisper of tea-flavored salt calms the burn. A mound of sweet carrot purée enhances the brilliant orange of a finger's length of salmon. 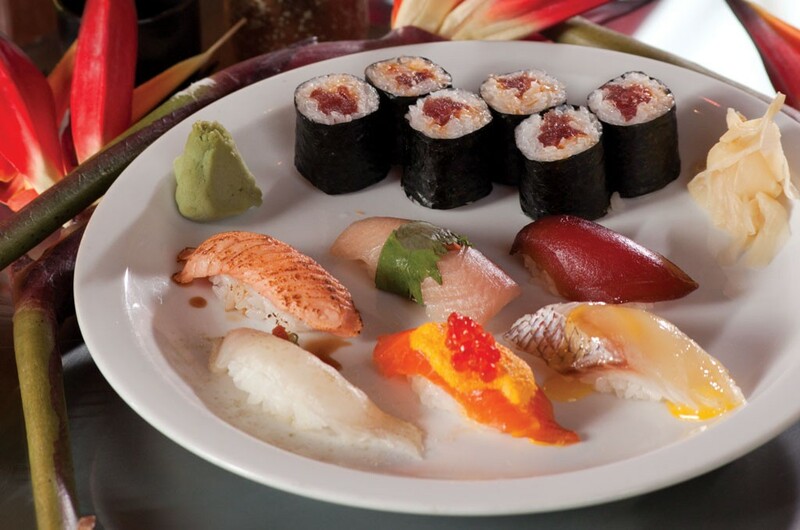 For $35, a Chef's Choice tasting reaches its crescendo with such a sushi plate. But the four preceding courses are just as creatively conceived. Even a simple salad, dressed in soy and sesame, crackles with the fatty flavor of crispy salmon skin in place of croutons. Salmon-nose cartilage is mixed with a salad of thinly sliced carrot and daikon and topped with a snow of shaved radish and bursting orange orbs of ikura. San Sai even offers home-cooked comfort food to those who crave it. Maeda and Russo's kakuni is a towering slab of fatty pork shoulder braised in a sweet mirin soy sauce. Served over mashed potatoes in a pool of the dark braising liquid, it's a beautiful marriage of rib-sticking warmth and the chefs' passion for outsize flavor. It's clear that the haute cuisiniers love their adopted home. And Vermonters love them right back. This article was originally published in 7 Nights: The Seven Days Guide to Vermont Restaurants & Bars in April 2015.